Songwriter, rapper, producer, DJ and self-proclaimed “chic geek” will.i.am is about to launch a piece of iPhone hardware that’ll boost the handset’s pixel count to 14 million. Will.i.am told the Telegraph the device comes with its own sensor and a better flash, claiming it’ll turn Apple’s smartphone into a “genius phone”. The i.am+ camera clips onto an iPhone 4, 4S and 5, and those using it will be encouraged to share their pictures on their own profile page at the neatly named www.i.am domain. Little information is known about the device just now – we’ll be furnished with more details when it’s officially unveiled at a press conference in London on November 28. As part of its marketing push, it makes an appearance in the music video for will.i.am/Britney Spears recent collaborative effort Scream and Shout. But is the i.am+ add-on just a pointless gimmick aimed at die-hard fans of the musician, or a serious attempt to take smartphone camera technology to a new level? With the iPhone 5 already equipped with an 8-megapixel sensor, one wonders how many owners will be hankering for a contraption which will add bulk and weight to their phone even if it does boost its megapixel count. And of course, more pixels doesn’t necessarily mean better quality pics – we’ll want to know more about the sensor and precisely what it’s capable of to see if the i.am+ really brings something new to the iPhoneography arena. And what about phone memory? These pics are going to be taking up nearly twice as much space as those taken with the iPhone 5’s built-in camera, so you might have to be more choosy about what you snap and how you manage your images. 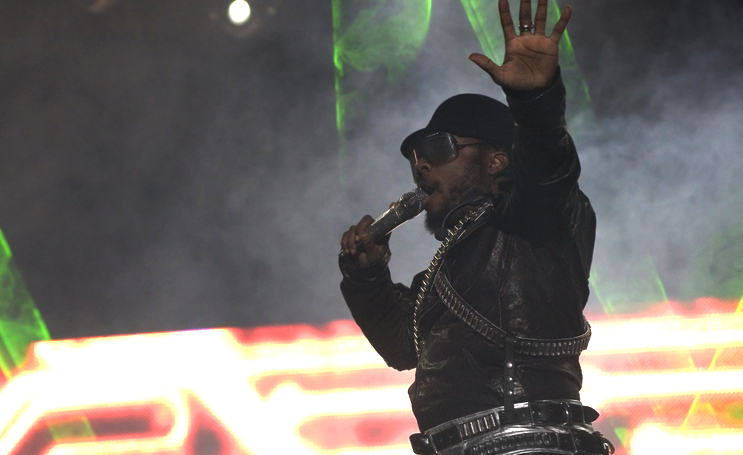 Will.i.am has long been into all things tech, and in 2011 was signed up by chip giant Intel as director of creative innovation. The i.am+ camera will be the first of a series of tech products to launch with will.i.am branding, the musician told the Telegraph.